So according to that link, the cargo bay doors for cargo spot 2 and 3, are 4.12m high. So that should accomodate possibly a Y-wing, X-wing, and easily an A-wing. Man that ship is as ugly as the 720. I've always seen them as a possibility of A-Wing Carriers. Especially as short legged and lousy hyperdrive storage capacity of the A-Wings. Probably a lot of Hutts bought them up in crooked auctions as Z-95 Carriers as well. Maybe only put a half-squadron on them and use the rest for cargo? 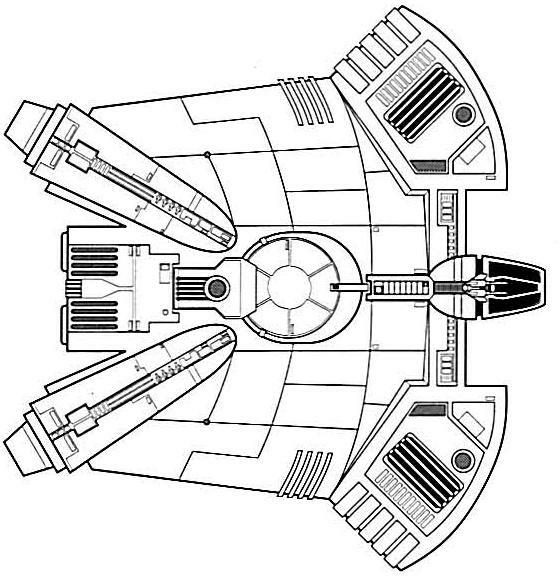 Page 237 of the Thrawn trilogy sourcebook has a picture of an x-wing being carried in an standard Ghtroc freighter. Should give a good sense of scale. So 'scum' would be more likely to use them as carriers..
A B-Wing could also fit through either door. Have four of those come boiling out and watch anything short of a star destroyer run for cover. If you're really serious about threatening capital ships, stash some Skipray Blastboats in the hold. They'll fit with the wings in landing mode. Yup. It's a stretch sea turtle. Now what if a Quarren, Mon Cal, or other aquatic species had one filled with water? That could prove interesting to visitors. I wonder how much weight would that be! I noticed the sea turtle look as soon as I saw it in the 90s. An actual sea turtle is beautiful but I feel this spaceship version is ugly. It is a horrible design. In 1e everyone had YT-1300s or GX1s. In 2e this turtle ship inexplicably became popular. I figured the cargo space at 70m x 36m x 6m. That gives us 15,120 cubic meters. Google tells me seawater weighs 1.024 metric tons per cubic meter, so to approximately fill the cargo hold is only 15,843 metric tons. That means a lot mass left over for fish!